Public awareness of the condition of factory farmed animal is gradually increasing and it is becoming more and more difficult to claim not to have at least some knowledge of the treatment they endure. Sentient, intelligent animals are often kept in cramped and filthy conditions where they cannot move around or perform their natural behaviors. At the same time, many suffer serious health problems and even death because they are selectively bred to grow or produce milk or eggs at a far greater rate than their bodies are capable of coping with. Plant based diets only require around one third of the land and water needed to produce a typical Western diet. Farmed animals consume much more protein, water and calories than they produce, so far greater quantities of crops and water are needed to produce animal “products” to feed humans than are needed to feed people direct on a plant-based diet. With water and land becoming scarcer globally, world hunger increasing and the planet’s population rising, it is much more sustainable to eat plat foods direct than use up precious resources feeding the farmed animals. 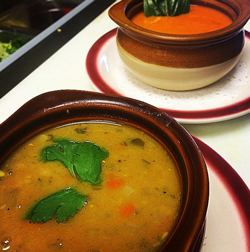 Our Famous three-bean veggie recipe, spiced up nice. Sliced onion suteed in seasonings, dently simmered in a light vegetable broth with essance of wine, topped with Cashew Cheese baked golden. Authentic avacado pate with cilantro, served with corn tortilla chips. Tofu strips tossed with our spicy buffalo hot sauce. Served with creamy ranch. 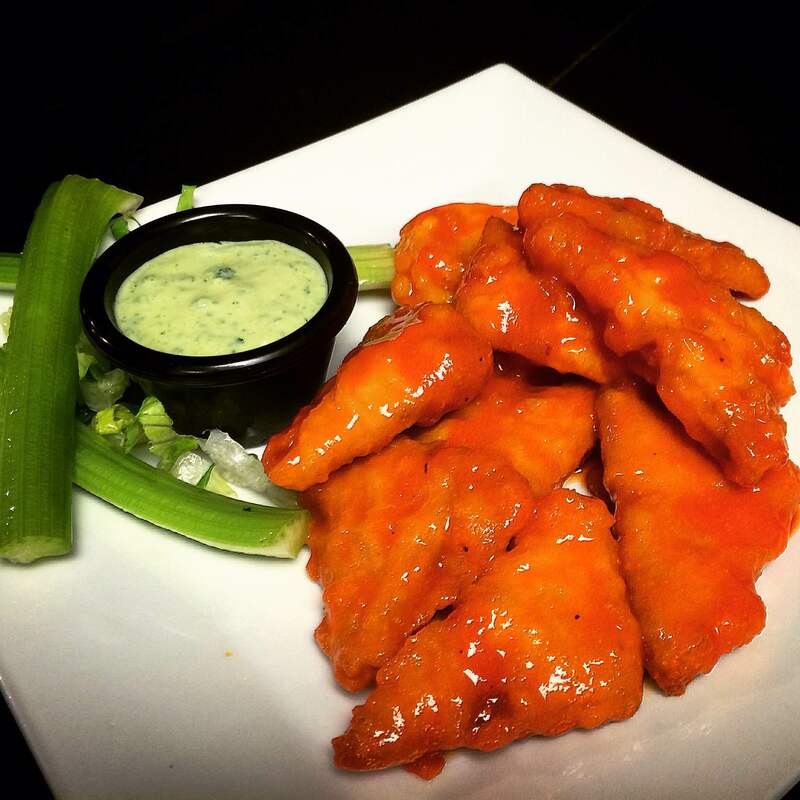 Battered tempeh tossed with our spicy buffalo hot sauce. Served with creamy ranch. Nuggets of seitan, skewered and marinated in a homemade peanut sauce, the grilled to perfection. marinated eggplant, zucchini, squash, roasted red pepper, grilled and stacked over a bed of field greens and drizzled with our homemade basil pesto. A seasoned vegetable patty with shitake mushrooms, black beans, and sweet corn, servered over a bed of field greens and topped gaucamole and pico de gallo salsa and drizzled with ranch and siratcha hot sauce. 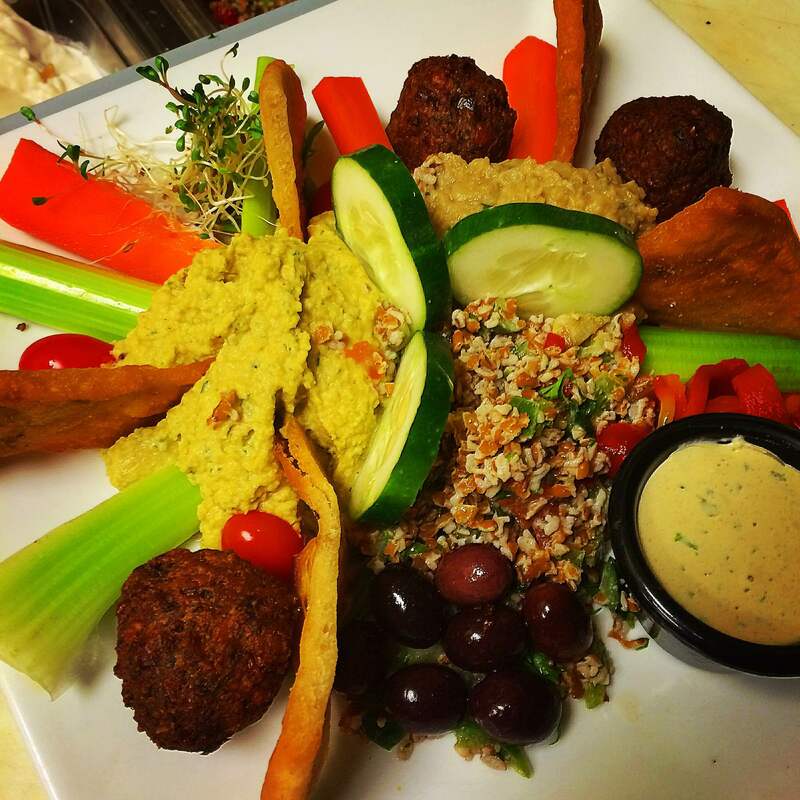 Sharing-size of hummus, crispy falafel, babaganouj, tabouleh, imported olives, and cumin-dusted pita wedges, drizzled with creamy tahini. Sharing-size plate of country nuggets, tofu buffalo wings, tempeh wings, seitan ribs, and picinic potato salad. Served with dipping sauces. A large flour tortilla with homemade vegan cheese, blackbeans, suateed onions, peppers, and chopped spinach, grilled to perfection! Served with sour cream, pico de gallo salsa and guacamole. Organic food contains higher levels of essential mineral )such as calcium, magnesium, iron, chromium), that are severely depleted in chemical foods grown in pesticide and nitrate fertilizer-abused soil. On average, organic is 25% more nutritious in terms of vitamins and minerals than products derived from industrial agriculture. Organic foods, especially raw or non-processed, contain higher levels of beta carotene, vitamins C, D,and E, health promoting polyphenols, cancer fighting antioxidants, flavenoids that help ward off heart disease, essential fatty acids and essential minerals. A medley of peppers and onions with broccoli, corn, and black beans in a spicy Mexican chipotle lime salsa sauce. Ground chipotle lime tempeh, served on corn tortillas loaded with shredded lettuce, gaucamole, sour cream, black beans, salsa, and alfalfa sprouts. Two flour tortillas rolled with ground seasoned tempeh, sour cream, and cheese. Baked with chipotle sauce and served with guacamole and salsa. ginger sauce. Served over brown rice. Chunks of our lentil loaf sauteed with potatoes, broccoli, sweet onions, rasta peppers, kale garbanzo beans, and black beans in a sweet and spicy jamaican sauce. Served over brown rice. vegetables and garlic mashed potatoes. onions in a light seasoned garlic gravy sauce. vegetables and mashed potatoes with gravy. and mashed potatoes with gravy. grilled to perfection. Served with seasonal vegetables. mushrooms, and cauliflower in a seasoned brown gravy sauce. Served over a mountain of mashed potatoes. spicy seasoned sauce. Served over brown rice. tomato, cucumber, onions, and sprouts. Drizzled with creamy tahini. lettuce, tomato, onion, and roasted red peppers. Thin sliced tempeh, baked with saurkraut, and russian dressing. Piled with lettuce, tomato, and onion. Homemade smoked tempeh “bacon” with mayo, lettuce, and tomato. Tender slivered seitan griddled with bell peppers, onions, and mushrooms. tomato, onion, and basil pesto. and drizzled with creamy ranch. 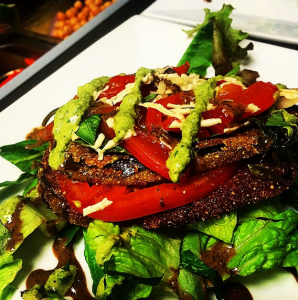 Our famous textured veggie “chicken” salad, stacked with lettuce and tomato. making it a popular meat substitute. 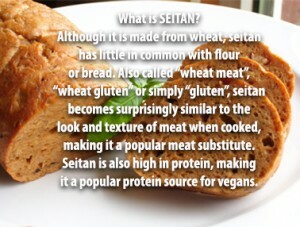 it a popular protein source for vegans. flavors through spices and marinades. 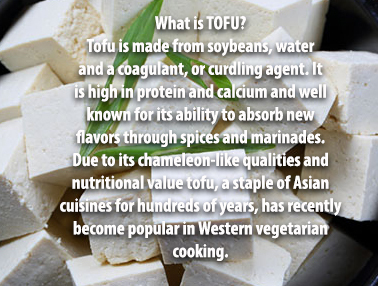 flavorful on it’s own, unlike tofu. 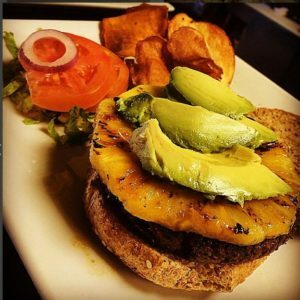 On your choice of a sprouted roll or gluten-free bread. Served with lettuce, tomato and, onion. 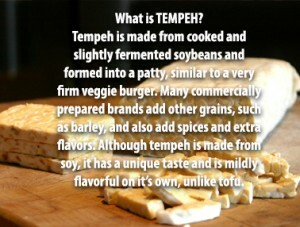 Textured soy protein patty, packed with flavor!